COLUMBIA, S.C. (AP) The U.S. Army Corps of Engineers Nov. 21 announced the release of more than $40 million to help deepen a South Carolina harbor, bringing total federal funding for the project to $108 million thus far. The Army Corps announced that it was dedicating $41.4 million to deepen the Charleston Harbor to 52 ft., a project that will make it the deepest on the East Coast. Local maritime interests have long wanted the channel deepened to at least 50 ft. so the Port of Charleston can handle a new generation of larger container ships that are becoming more popular in global shipping. 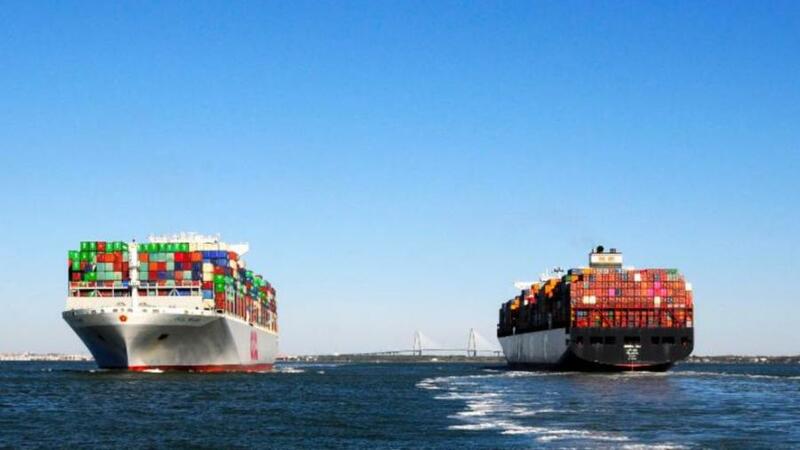 South Carolina State Ports Authority President and CEO Jim Newsome has said that handling larger ships without waiting for high tides so they can reach the docks is a key to the competitiveness of the state's ports, a sentiment he echoed in a statement Nov. 21. "This depth advantage is vitally important for significant long-term volume growth and the deployment of large container ships," Newsome said. "We are very grateful for the dedication and hard work by many to keep this project moving forward at record speed." In 2014, the Army Corps released a long-awaited draft feasibility study and environmental impact statement on a deepening project, proposing that it would cost just over a half-billion dollars, higher than the $350 million previously suggested. Officials have estimated the project could take anywhere from three to six years. Construction to deepen the Charleston Harbor Entrance Channel to 54 ft. began in February after the first two dredging contracts were awarded. The federal share of the more than $500 million total project cost is an estimated $166 million, and Newsome has said the port needs about $90 million in federal funds each year for three years to stay on schedule. The South Carolina General Assembly has put aside $300 million for the work, plus made available a $50 million loan to be paid back by the federal government. Both U.S. Sens. Lindsey Graham and Tim Scott lauded the effort. In a news release, Gov. Henry McMaster said the port expansion is "an investment in our entire state's future," with so many goods moving through the area. "When companies see that we are committed to our infrastructure, they have reason to be more confident in their investment in our communities, which means more jobs for our people," McMaster said. "The Charleston Harbor becoming the deepest on the East Coast will one day be seen as one of the most impactful moments in South Carolina's prosperous economic future."